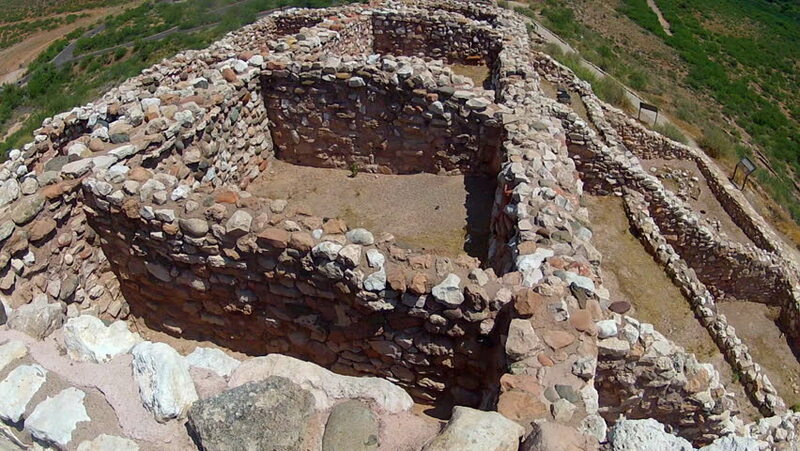 A high angle shot looking into several of the rooms at the Native American Indian pueblo village ruins at Tuzigoot National Monument near Cottonwood, AZ. 4k00:26epic drone footage of a natural bridge created by nature. in ibiza spain. hd00:12View of rock mountain (cliff, crag). Mountain "Wysoka" - Pieniny Mountains, Poland. hd00:20Spring water flow in the forest. Closeup. Environment, ecology, nature protection concept.